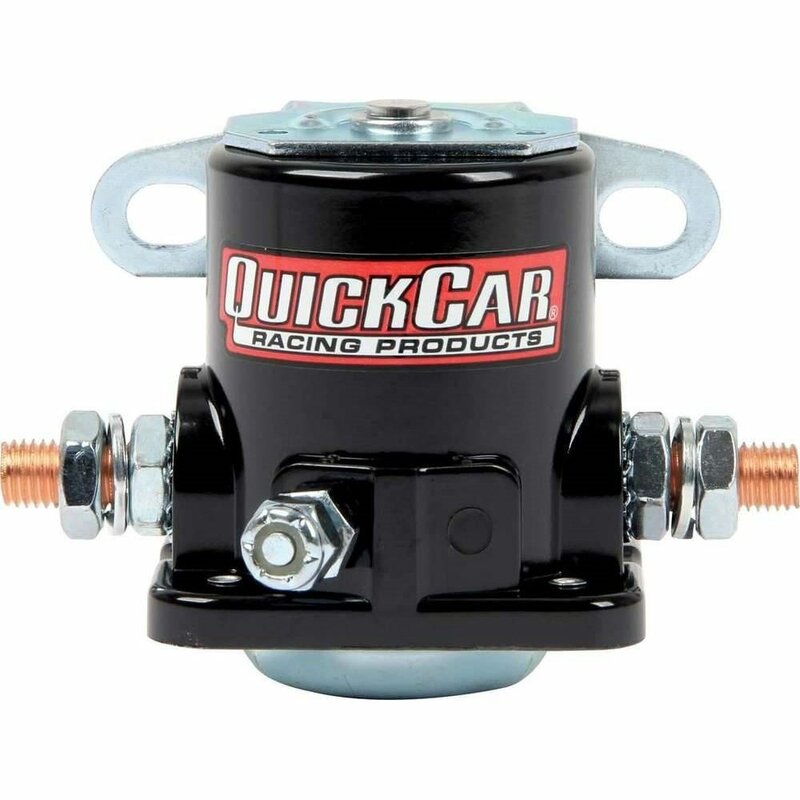 This QuickCar Starter Solenoid is a Ford style and has a black finish. This Ford-style solenoid is perfect for use with high torque racing starters. The flat base eases mounting and a remote under hood starter switch or timing light hook-up can be easily adapted.